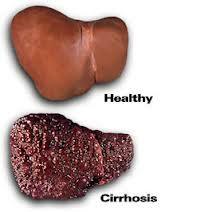 Looking after Your Liver with a diet for Cirrhosis…. Because the liver is an essential organ for sustaining life and plays a large and varying role, a liver with cirrhosis that is not functioning to full capacity will affect the body system in a number of ways and ultimately your health which is why diet is so important. Impaired liver functioning through excess use of alcohol,toxins in our everyday atmosphere or Hepatitis, whether chronic or autoimmune may lead to a cirrhosis diagnosis being made by a medical practitioner. The liver is the filter for the blood. This means that blood leaving the stomach and intestines will pass through the liver, filtering and breaking down toxic substances into forms which are easier for the body to utilize. Amazingly the liver can hold 13 percent of the bodies whole blood supply at anyone time, so clearly keeping your liver healthy is vital. Bile production occurs in the liver and is paramount to a healthy digestive system.Bile acts as a laxative, encouraging waste removal from your body. It breaks down fats which in turn affects cholesterol and cardiovascular health. The liver plays a part in the manufacture and regulatory role of testosterone and estrogen production hormones. If excess hormones are detected , the liver will eliminate them. As you can see, a struggling liver will lead to a hormonal imbalance which will lead to many hormonal conditions such as reproductive issues, menopausal symptom severity, thyroid, diabetes and more. A poorly functioning liver will not be able to efficiently convert fats, proteins, and carbohydrates into energy for the body to function on. Low energy levels can be an indication of a sluggish liver. The liver stores energy in the form of glycogen. When the blood glucose levels become too high, the liver converts this excess energy into glycogen. When blood glucose levels become too low and don’t meet the bodies energy requirements , the the liver converts glycogen back into glucose for easy assimilation into the body for readily accessible energy for you to go about your day. 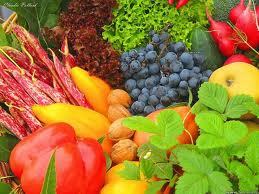 These nutrients, Vit A,D,K and E are all stored in the liver. Their storage and utilization in the liver is vital to optimum health for us. Unhealthy food habits are often responsible for severe health problems in humans. The cirrhosis patient needs to adopt a balanced diet. The optimum diet for cirrhosis of the liver patients includes plenty of fresh, preferably if you can get them organic vegetables, fruits, animal proteins, natural unprocessed fats, and carbohydrates. If you are eating a modern diet, you may need to reduce the amount of your protein content intake. Excessive protein in the diet does cause excessive acidity in the body and the aim is to be as alkaline as possible. A high level of protein consumption, especially highly fatty animal protein has been linked to diabetes and other liver related diseases. Statistics report that alcohol causes 90 percent of all health problems worldwide. The most healthy approach would be to eliminate alcohol consumption completely. Following a plant-based diet has been scientifically proven to help people overcome many illness or prevent diseases and maintain better lifestyle. Foods to avoid in excess and even completely eliminate are excess dairy foods,sugars,highly processed foods,saturated fats,alcohol,coffee, flours and all the high fructose corn syrup sugars. Artificial additives,colors, flavorings,and preservatives . These require huge amounts of energy from the liver to process. Eating a diet as close as possible to its natural state is a fantastic way to help your liver function to its optimum levels and regain your health. Our diet has evolved to include highly processed foods full of chemicals and preservatives to keep a longer shelf life and even our “fresh Foods” have been sprayed with liver toxic chemical cocktails which our digestive systems struggle to digest and consequently puts a huge strain on our livers. A Paleo Diet has been used very successfully to help many of the symptoms of Cirrhosis and helping the liver and body to re-balance and kick start its innate healing abilities by helping eliminate its toxic load. By following a balanced eating plan, losing weight and dumping unhealthy foods, you are choosing to love your body and liver and help keep your personal health and wellbeing in optimum levels. By supporting your liver with a diet rich in nutrients and antioxidants from whole foods which include glutathione sources, your liver can begin the mopping up process. 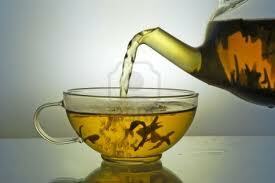 This is especially important in the phase two process which is where the liver is working hard to neutralize toxins. The many minerals, vitamins and fiber found in fresh foods by following a Paleo Diet are crucial for the livers phase two pathway process. Glutathione is the key master antioxidant which is vital in supporting phase one and phase two of liver detoxification. Glutathione can be found in all raw fruits and vegetables but once cooked the glutathione levels decease markedly Meat and eggs, raw dairy,milk thistle, turmeric, B12,Vit B, Folate,Vit C, COQ 10, alpha lipoic acid and N-acetylcysteine are all sources of valuable glutathione. 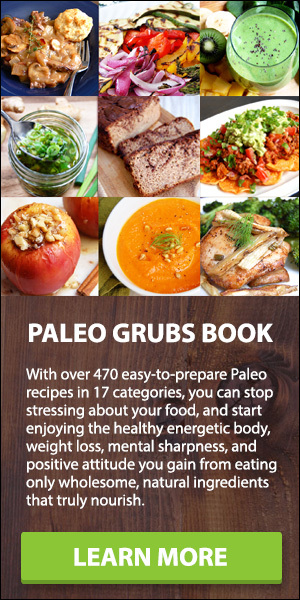 This Paleo Diet covers all aspects and information about Paleo eating from how and why a Paleo Diet is so healthy , easy to follow food plans, 375 delicious recipes plus a whole book on Paleo deserts your liver will love and cheat sheets to help you every step of the way. When you suffer from Cirrhosis, eating in small amounts is very important, this way your liver doesn’t get overworked. Allow at least two hours between your last meal and going to bed. Your liver rejuvenates during the time you sleep, so it is extremely important for it to be able to rest and recuperate. There are many herbs that can play a crucial part in helping your liver rejuvenate.Dandelion root can be used to make a hot drink and may be used a coffee substitute. It has a slightly bitter flavour and works to clear congestion in the liver and is a stimulant. The spice Turmeric which contains the polyphenol Curcumin, has been gathering a great deal of interest recently within the scientific community.Turmeric has liver protective properties in that it is a bitter digestive as well as a carminative and anti inflammatory spice. 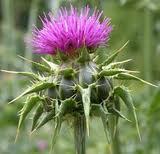 This means it stimulates the liver and is being used in therapeutic doses to treat liver disease with good results. 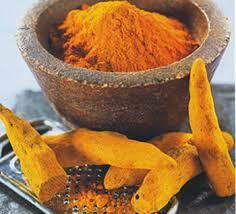 In a study on diabetic rats, turmeric was able to repair and even regenerate the liver tissues. These studies hold exciting prospects for those with liver disease. 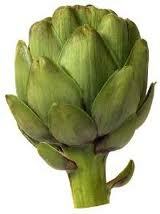 Globe artichokes break down fats and cholesterol and vastly improve the flow of bile from the liver to the gallbladder. So artichokes would be a good regular addition to your diet. Vitamin C is a wonderful anti oxidant and is known for its ability to detoxify the liver. You could try a small glass of freshly squeezed grapefruit juice or lemon juice each morning to detox your liver. Green vegetable are the super foods of the vegetable world and are very high in Chlorophyll which acts as broom for toxins in the blood stream. 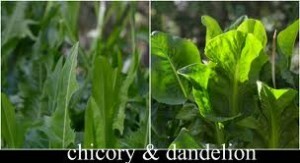 Chicory and dandelions provide high levels of chlorophyll and have specific liver cleansing properties offering great protection to an ailing liver. Green tea is chock a block full of catechins, a plant based anti oxidant which are highly beneficial to helping liver function. Beetroot is one of the vegetable kingdom wonder foods as it contains high levels of plant flavanoids and beta carotenes which act as a digestive broom for your bowels and improve liver function enormously as a sluggish bowel will impact liver function. 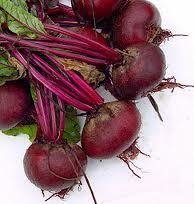 A beetroot,ginger and celery juice is a great way to begin your morning an d love your liver. 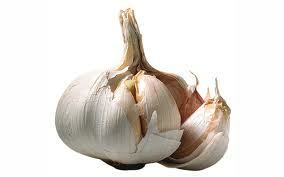 And lastly, another super food is garlic. Garlic contains allicin which directly aids in liver cleansing as well as boosting the immune system and is generally a great all rounder for the digestive system and particularly for in a diet for people with cirrhosis of the liver.